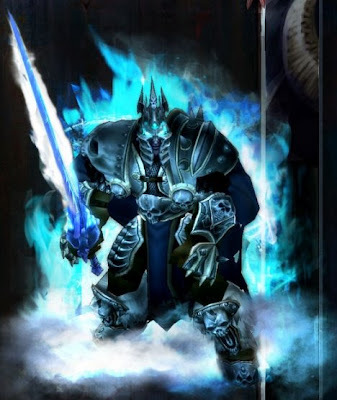 Well.. the midnight launch for easily one of the biggest of any expansion pack to date, Wrath of the Lich King for the 12 million strong subscriber base, World of Warcraft begins. I was into World of Warcraft a few years ago, but kind of dropped from it, not sure why exactly. Probably because of too many other games. I do wish I was still into WoW however, so I have an excuse to go to some of these insanely put together events like at Fry's Electronics in Anaheim, where their putting on a huge event for the fans.. developer signings, probably prize giveaways, etc. Lots of fun to be had! Honestly, not even sure why I wrote this blog post in the first place. Not sure why.